The Canadian National Exhibition (CNE), also known as The Ex, is Canada’s largest annual community event. It takes place at Exhibition Place in Toronto which is located along Toronto’s waterfront on the shores of Lake Ontario and just west of downtown Toronto. This year it opened on Friday, August 17th and continues until Labour Day on Monday, September 3rd. It attracts more than 1.3 million people every year. 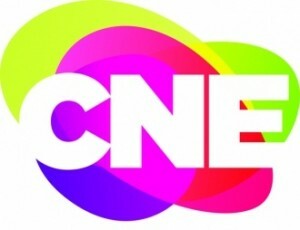 The CNE offers a wide variety of entertainment and events including Bandshell concerts, celebrity chef demonstrations, aerial acrobatics and ice skating show, a dog show, a working farm, parades and a three-day Air Show. Midway rides and games, wacky fair food as well as international food and shopping are also popular highlights of this major Toronto event. The Toronto Transit Commission (TTC) and GO Transit provide easy transportation to the CNE with stops at Exhibition Place. Tickets cost $16 per person and you can buy them online or directly at the entrance. Go and enjoy a day or evening of fun and entertainment! There will be something for everyone!